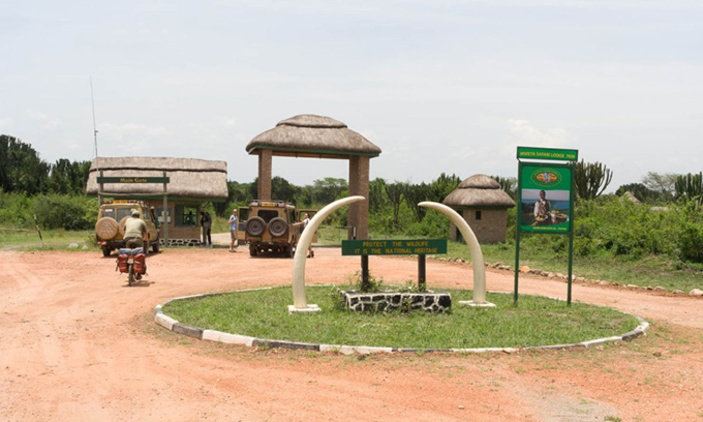 KANUNGU – Security agencies in western Uganda are hunting for unknown assailants who kidnapped two tourists; a US citizen and a Ugandan, in Queen Elizabeth National Park in Kanungu District on Tuesday. According to a joint statement issued by the Uganda Tourism Board, the Uganda Wildlife Authority and Uganda Police, the tourists identified as Kimbly Sue Endicott, 35, and his driver, Jean Paul, were abducted at gunpoint along Edward track, which is a section located between Katooke gate and Wilderness Camp in the national park. 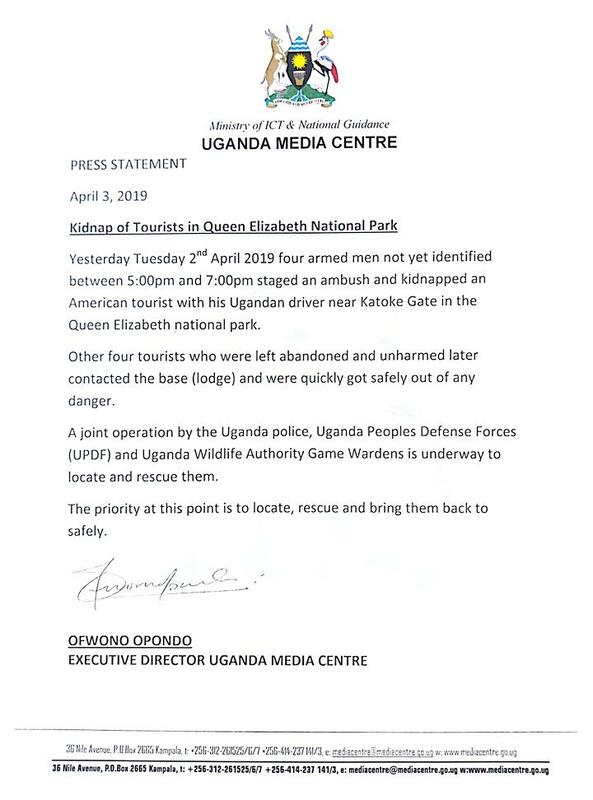 “The outlaws put the occupants under gunpoint and abducted two of them a Ugandan driver and an American citizen between 5:00 pm and 7:00 pm yesterday 2nd April,” the statement reads in part. The tourists at the time were driving a car, registration number UAR 777E, belonging to World Frontiers Safaris Uganda. The other tourists, Martin Julius and wife Barbel, who were in the car, were not kidnapped and have been rescued. Deputy police spokesperson Polly Namaye said that the kidnappers are using the victim’s phone to demand for a ransom of USD500,000 (about UGX1.8 billion). “We strongly believe this ransom is the reason behind the kidnap,” Namaye said. She urged those that want to visit the park and surrounding areas to feel free because strong security measures have been put in place. “We appeal for any information that could lead us to apprehend the suspects and rescue the victims. The police has dispatched an elite squad from Tourism police to reinforce the security team at Queen Elizabeth National Park”. This is not the first time kidnaps have occurred in Kanungu district with the latest happening late last year when two men dealing in fish business were taken as they went through Ishasha.